Friday: PowerPoint Karaoke plus The Encyclopedia Show! Home Life Friday, May 13: PowerPoint Karaoke plus The Encyclopedia Show! 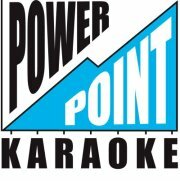 On Friday, May 13th, PowerPoint Karaoke will be back at Fantasy Flight Games! This time, our opener will be the excellent Encyclopedia Show, who will present a series of short works inspired by the word Australia!